To view our Rainy Day collection, as well as our full library of over 300 patterns, we invite you to apply for a studio membership here. OR if you’d like to see the patterns in person, and happen to be located in Portland, Oregon, please mark down August 3rd and 4th on your calendar! Michelle will be in town showing our library of new exclusive and original prints to a small handful of select companies. 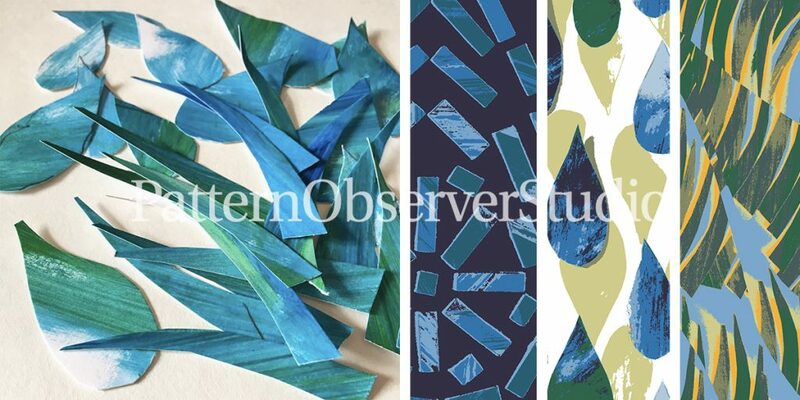 If you would like to make an appointment to view the Pattern Observer Studio collection, please reach out to michelle@patternobserver.com.